A few weeks ago, I had one favorite, go-to spot for authentic Mexican Food. That was El Taquito which I reviewed here. After trying Lozanos in Immokalee last Saturday, my beloved El Taquito has been replaced. Lozanos had absolutely the best tacos I have ever eaten in my life. Ever. 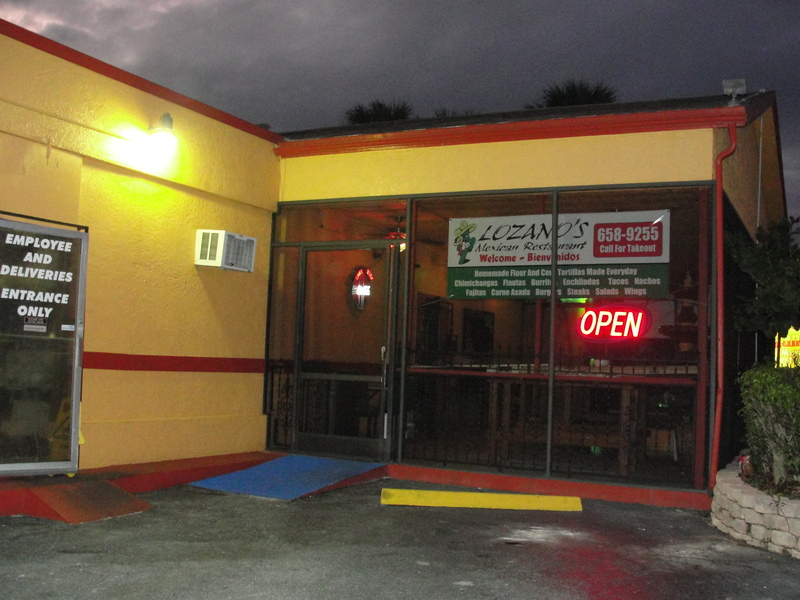 Lozanos is located in Immokalee and is a normal, sit down restaurant. We were going out to the fairgrounds so decided to drive the extra 35 minutes and eat some good food. 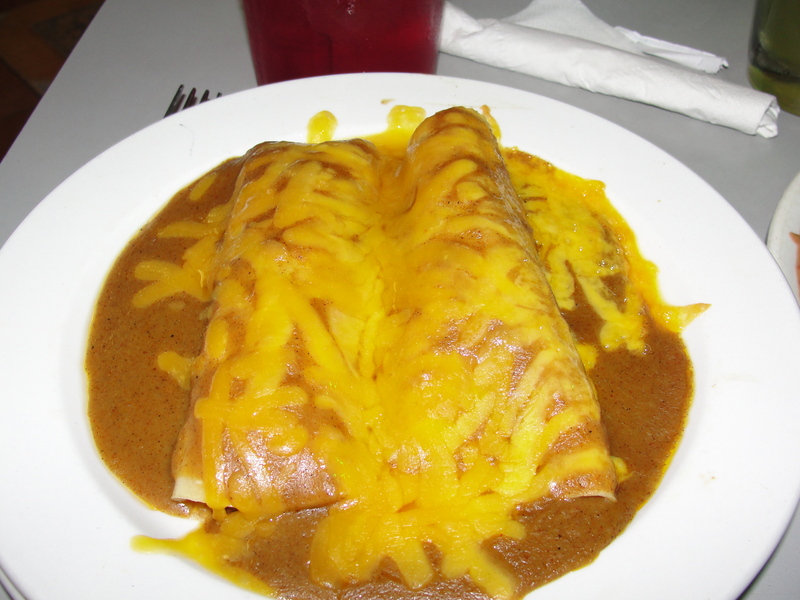 El Taquito is a hole in the wall whereas Lozanos is a regular, nice restaurant. We arrived around 6:15pm and started with some chips and salsa. The chips were pieces of tortillas that had been fried up and lightly salted. They were quite tasty but, the salsa was somewhat spicy and I only had a few bites worth. I was on the fence as to what to get because everything sounded so delish. 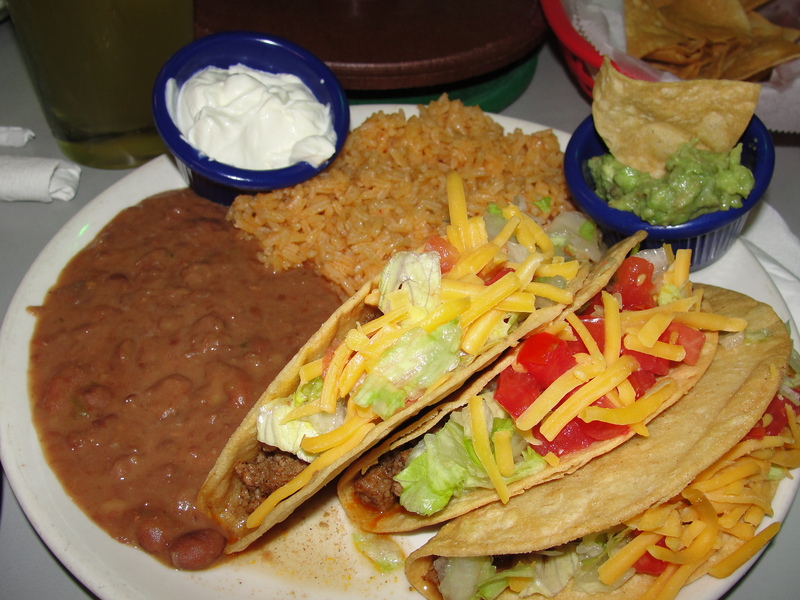 I opted for the 3 hard ground beef tacos, rice & beans and 2 enchiladas – one cheese & one chicken. I was going to just go with all tacos but I just can’t resist enchiladas. Tacos…mmm, Tacos. One of my favorite Mexican food items by far. The hard shells were so fresh and crispy. They were loaded full of ground beef, lettuce and shredded cheese. They certainly do not skimp on toppings – in the tacos or any other food items. I ordered these Supreme which meant they came with sour cream and guacamole on the side. I added sour cream to each of my tacos but ate the guacamole with my enchiladas and chips. The tacos had a great flavor to them thanks to the combination of fresh, good ingredients. The hard shell’s crispiness was able to withstand the ground beef and toppings. The ground beefs flavoring was also very fresh & tasty. Once again, you could tell the beef was cooked slow to allow the seasoning to really flavor it well – not a fake flavoring like you get from a packet. The lettuce was fresh and plentiful as was the shredded cheese. The key to these tacos was really the freshness and the authentic flavors. The sour cream was creamy and added the perfect coolness to the tacos. The guacamole was also very fresh however, I only got a few bites worth and can’t really rate it. Overall Rating: 10/10. By far the best tacos I have ever had. Hands down. Fresh, tasty, crisp, filling and most of all, Authentic. If you have a chance to have real, Authentic Mexican food, you should certainly try it. Lozanos is now on my list of all-time favorite foods and places to eat. 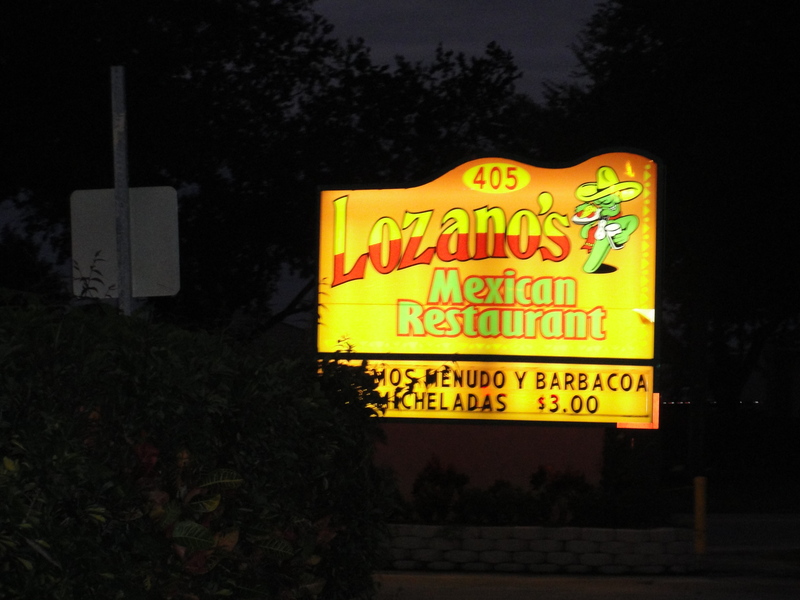 I will most certainly be visiting Lozanos again…and soon!